MEXICO CITY: A disciplinary investigation will be opened against football legend Diego Maradona by Mexico's football federation for his verbal spat against fans during the second leg of the Ascenso MX final between Dorados de Sinaloa and Atletico San Luis. Maradona, who is the coach of local club Dorados, was involved in a post-match scuffle with Atletico's supporters following Sunday's second leg, according to an ESPNFC report. 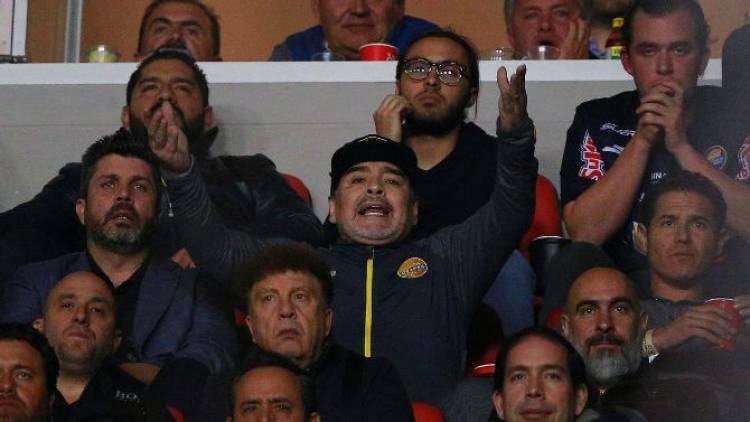 A video on social media went viral showing Maradona, who watched the game from the stands due to a suspension, losing his temper after being shouted at as he made his way across the VIP area. "Come here! I want him to tell me that to my face. I want you to tell me to my face," Maradona yelled, in quotes reported by ESPN, while being restrained by security staff. San Luis won the game 4-2 (4-3 on aggregate) to claim Mexico's second division title.